A core function of Early Childhood Australia is to develop policies on early childhood education and care and advocate for the rights of children. This is achieved through the development of submissions and statements, including consultation with our membership, the early childhood sector and related organisations. For more information about submissions and current inquiries, please email policy@earlychildhood.org.au. 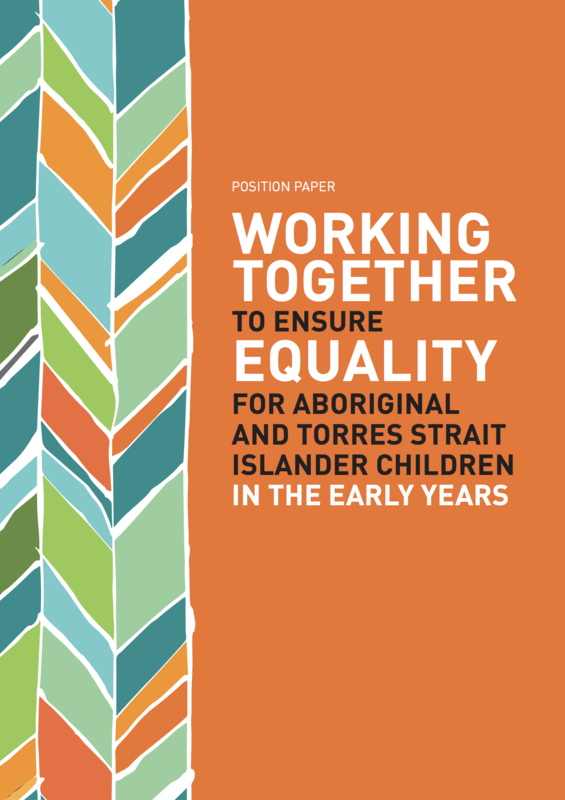 Early Childhood Australia and SNAICC—National Voice for our Children have released a joint position paper: Working Together to Ensure Equality for Aboriginal and Torres Strait Islander Children in the Early Years. ECA has developed a Statement to guide and inform the early childhood sector, and families and care-givers of young children and decision-makers about using digital technologies with and for young children. This statement explains inclusion. It outlines why inclusion is important, and it sets out what is required from everyone involved in the delivery of early childhood education and care to ensure inclusion of every child. 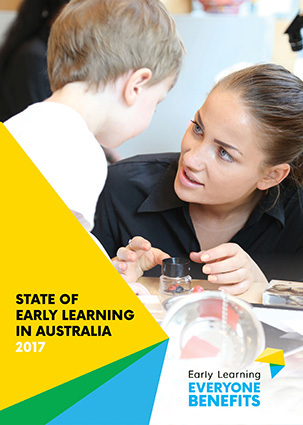 On behalf of the Early Learning Everyone Benefits Campaign, ECA published the State of Early Learning in Australia Report 2017 which provides a high-level snapshot of quality, participation and affordability of early childhood education and care in Australia. It highlights areas of improvement by State, Territory and Commonwealth Governments and demonstrates the need to reform early learning in Australia to build Australia’s future prosperity. ECA authored the Early Childhood Education and Care Chapter of the Australian Child Rights Taskforce Report on 25 years of the UN Convention on the Rights of the Child in Australia. The report considers the progress for children across a number of key social policy areas including family life, education and care, justice and health, and what this has meant for children. 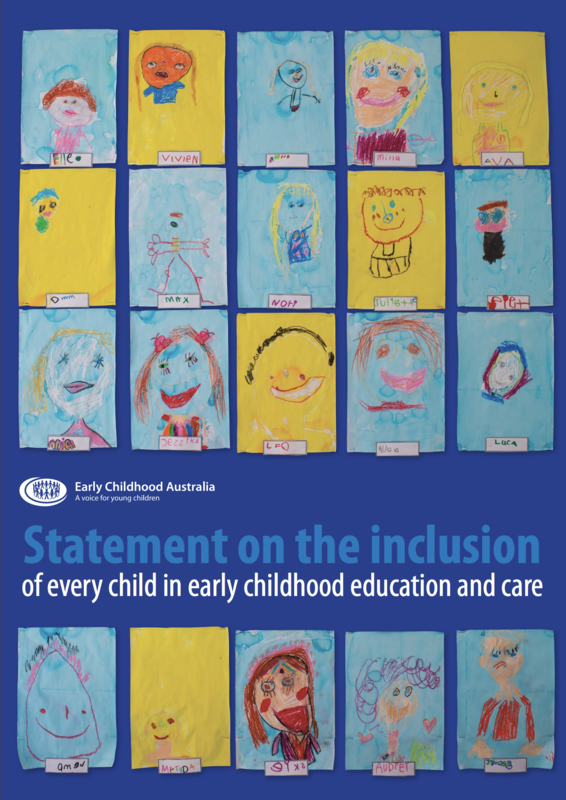 ECA is committed to the inclusion of every child in early childhood education and care. Inclusion means that every child has access to, participates meaningfully in, and experiences positive outcomes from early childhood education and care programs. This statement explains inclusion. It outlines why inclusion is important, and it sets out what is required from everyone involved in the delivery of early childhood education and care to ensure inclusion of every child. Copies of the Statement are available for free to download here. Please also find the accompanying Factsheet on The experience of inclusion and exclusion in early childhood education and care available for download here. The Australian Early Years Learning Framework states that ‘early childhood educators will reinforce in their daily practice the principles laid out in the United Nations Convention on the Rights of the Child’ (2009, p.5). 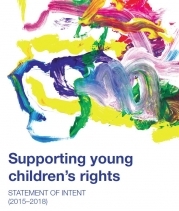 In 2014, Early Childhood Australia worked with our members, child rights advocates, academics and experts in the sector to develop Supporting young children’s rights: statement of intent (2015 – 2018) . The statement is designed to support teachers, educators, the community, families and children to ethically and authentically support the rights of children in early childhood; to understand and implement child rights education in early childhood education and care settings, and to advocate for children’s rights. Order copies of the statement here. Download the statement for free here. ECA’s free resources on children’s rights are available here. 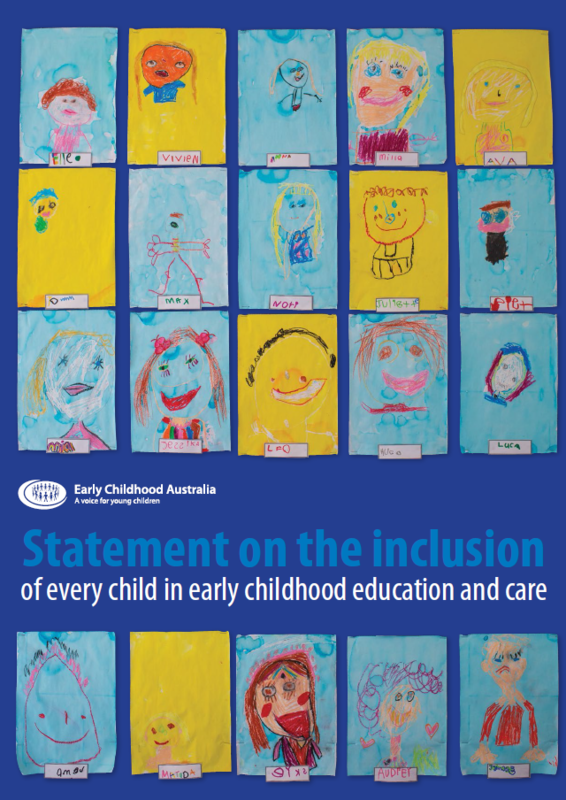 This joint position statement by Early Childhood Australia (ECA) and Early Childhood Intervention Australia (ECIA) sets out our shared commitment to inclusion in early childhood education and care (ECEC). Its purpose is to create a vision for high quality inclusive practices in early childhood education and care. This Brief outlines the evidence for providing two days of subsidised quality early learning for all children. The full Evidence Brief can be downloaded here. This summary has been prepared to support the staff to child ratios and educator qualification requirements contained in the Early Childhood Education and Care National Quality Framework (NQF) currently being implemented in Australia. ECA believes there is a solid research base that suggests that these two components are critical to achieving quality education outcomes for young children. This summary is a brief review of the evidence rather than a comprehensive review because its purpose is to provide a timely response to questions being raised by a minority of service providers who have not yet embraced the NQF. Download the full Evidence Brief here. Early Childhood Australia commissioned a report from the Australian National University (ANU) Centre for Social Research and Methods on the effect of the Government’s proposed Child Care Subsidy on children and families. This Early Childhood Flexibility Practices and Patterns Report highlights recommendations and future directions for early childhood education and care services and governments in providing flexible arrangements for their families and local communities. The contents of the Report are illustrated through case studies, as well as data from surveys of early childhood services. This paper, Foundations for learning, responds to requests from early childhood educators working in the non-school and school sectors for an authoritative statement explaining how the EYLF and the Australian Curriculum are aligned. The paper was developed as a joint project between Early Childhood Australia and the Australian Curriculum, Assessment and Reporting Authority (ACARA). This discussion paper was developed for delegates at the European Union-Australia Policy Dialogue on 11–15 April 2011. 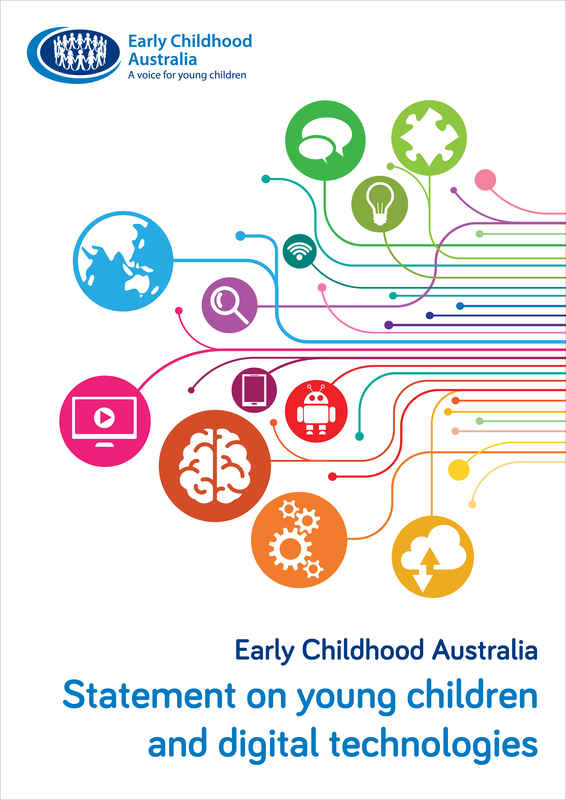 The aim of this discussion paper is to provide an overview of early childhood education and care (ECEC) in Australia and some commentary from Early Childhood Australia (ECA) on key issues for ECEC that arise from the Australian Government’s Reform Agenda for Early Childhood Education and Care. The Expert Advisory Panel (EAP) was appointed by COAG to advise on a vision for an integrated and seamless system of licensing and accreditation within a national standards framework for early childhood learning and care services advise on and develop options for draft quality standards for application in ECEC settings, and advise on approaches for an A to E ratings system. The Report led to the establishment of National Quality Framework for Early Childhood Education and Care. Early Childhood Australia (ECA) paper recommends an increased focus on early childhood learning and care in the Integrated Quality Standards System (IQSS) must reflect the evidence both about high quality effective early childhood services and about broader societal issues that have implications for children’s wellbeing.